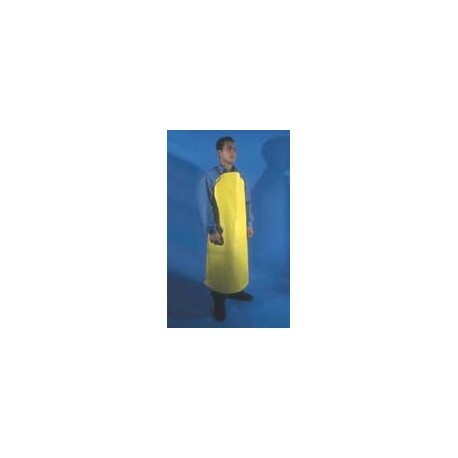 SAF-T-CURETM NEOPRENE APRONS are heavy-duty yellow neoprene with tape-reinforced edges that protect from neck to knee. The neoprene will not stick, peel, crack or stiffen. Any solvent or ink contamination can be removed with soap and water. Sold individually or 72/case.